I’ve worked in sport and fitness industry for nearly 15 years. The last seven years been heavily focused in the the field of weight loss, both from an exercise and a nutrition point of view. I’ve worked with hundreds of clients and I’ve seen a huge range of attitudes, approaches and results. One of the biggest things I battle against is not my clients boozy weekends or chocolate cravings, not the menopause or hormones, but STRESS. Stress has a huge impact on our bodies. this coping mechanism hasn’t evolved to cope with our modern day lifestyles. The stress we experience is less of a ‘fight or flight’ life saving, bear-chasing stress that we were originally designed for, and more of a constant undercurrent of never ending, out of control, panic stress. When we feel stress we release the hormone cortisol into the body. This is a natural reaction to fire our body into fight or flight mode and often comes with a nice side helping of adrenaline. This is to boost our system up and deal with the stress, panic or situation that has caused the stress in the first instance. After this, we can experience a come down which can take some time. Our bodies, if you think in caveman terms, can handle this for extreme cases every now and again. As I said earlier, this is not generally the type of stress most of us are under (unless you’ve been hanging out with more sabre tooth tigers than I have recently?!). These constant pumps of cortisol and adrenaline have a really troubling effect on the body after some time. Cortisol is linked to body fat storage around the middle (again a survival mechanism to protect our vital organs in times of trouble) as well as increased blood pressure and stress on the heart. Constant flurries or hormones effect our mood, our sleep and our energy levels. In real life terms it then becomes difficult to motivate yourself for exercise and you may find you often crave ‘big hit’ foods with high sugar or refined carbs to give your body its next boost. As you can imagine, none of this is a great recipe for calm, controlled and continued weight loss. If your body is in a constant state of stress and you add more exercise in it can make things worse. Now, of course, I’m all for exercise. I’m a personal trainer, I love to exercise and I help others to do the same all day, every day. What I’m talking about here is that exercise is a stress for the body to deal with. The idea is that our bodies recover from stress better equipped to deal with it – and that’s how we get stronger, burn fat and build lean muscle. However, if your body is weak and vulnerable, dealing with constant hormone flushes and is generally fatigued, dealing with more physical stress can tip it over the edge. This is why lots of people start exercising and get ill straight away. Your body just cannot cope, your immune system is low and your recovery is shot, so your body just says NO, in the only way it can. For all these reasons, I’ve seen people getting amazing weight loss results by simply adding in walking. It’s low impact and gets you outside in the fresh air (and even some vitamin D if you’re lucky). It doesn’t require planning or preparation. It can be done in any weather. 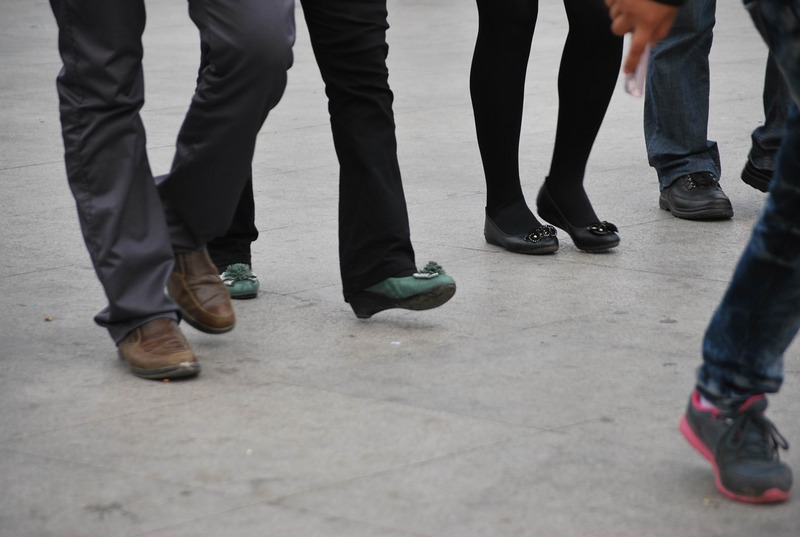 Walking doesn’t require a shower after and can be done in your lunch break or as part of your journey to or from work. Because of the ease of fitting in walking to your schedule it means people tend to be more consistent with it. Consistency is THE key to success with weight loss. No exercise works if you don’t stick with it. Walking can help to reduce cortisol levels, increase mood and circulation, burn calories and ease your mind as well as your body. I’ve trained clients who’ve made healthy changes to their diet and they walk regularly (at least three times a week), and I’ve seen the most significant weight losses, and they’ve continued to maintain their results – because they’re doing an regular activity they can sustain. So there you go… the secret is out. Get your shoes on and GO FOR A WALK!